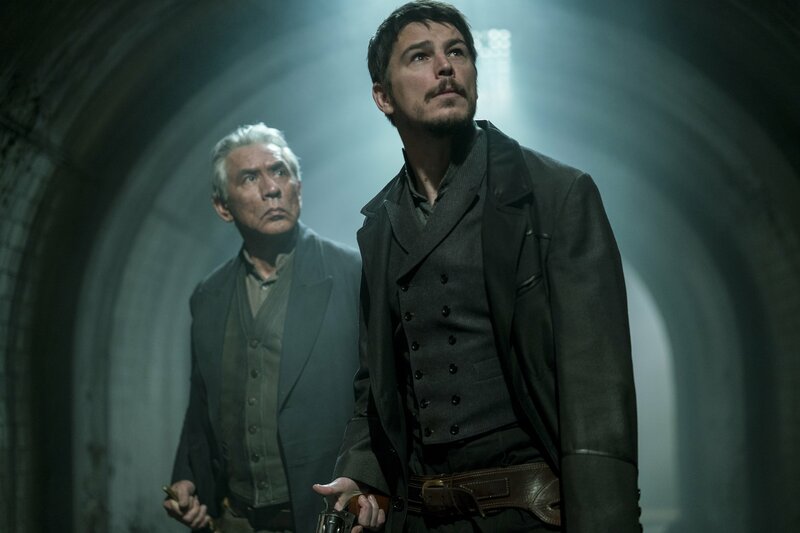 The swan song for Showtime’s cult classic comes in the form a two-part, shocking finale in “Penny Dreadful: Perpetual Night the Blessed Dark.” For three years, creator John Logan has captivated audiences by toddling the line of camp and seriousness with a vivid cast of classic literary monsters brought to life by some of the most talented actors of this generation. Sadly, this past weekend, Logan surprised audiences and fans all over by ending the continuing struggle of Eva Green’s chilling alter-ego Vanessa Ives and concluding the series on a somber note. “Perpetual Night the Blessed Dark” was a season-ending unlike any other in the “Penny Dreadful” series that brought in plenty of action and an end to all the characters’ storylines, while still leaving a little bit of hope for another season. 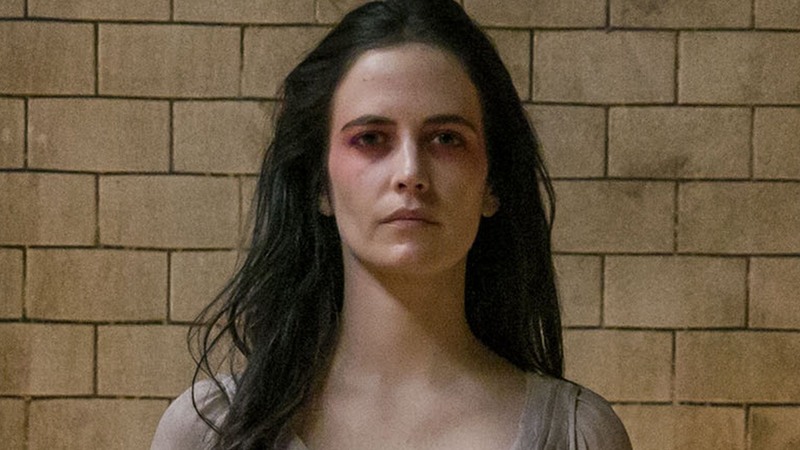 Since “Penny Dreadful”‘s start, Vanessa Ives has been the pillar and center to which the major characters stand. Her constant struggle to maintain faith and sanity as the forces of evil chased her was the perpetual theme of the series. In the previous week’s episode, she finally gave into temptation and embraced the dark. Unfortunately, her embrace of Dracula’s kiss left a plague across London and many dead bodies in its aftermath. Ethan, Sir Malcolm, and Kaetenay arrived too late to stop the end of days as the three protectors touched the harbor, a heavier fog and emptier London. Returning back to Malcolm’s estate, the three were greeted with an ambush from Dracula’s minions. Caught off guard, the three struggled but bested the creatures with some convenient help from Catriona. The latest “Penny Dreadful” character somehow made her way into the house and helped gun down the intruders. Catriona informs them that within a week of this mist plaguing London, 7,000 people have already died and these creatures have been roaming the city streets. It was clear that Vanessa’s endless night and end of days were upon them, but Ethan still had faith that he could save her. Roaming the streets of London like a lone ranger, Ethan soon fell victim to a trap set-up by Dracula and his subjects. Easily bested, Ethan’s sole salvation was in the full moon. 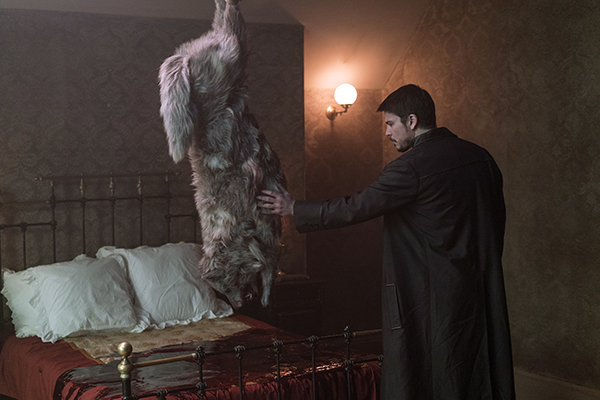 Transforming into “Penny Dreadful”‘s Wolverine in London, the show’s protagonist quickly minced through the lackeys one throat slice at a time. As in control of the situation as Ethan may have been, he found more help with the arrival of a werewolf Kaetenay. Yes, the Apache not only was a werewolf but he was also the one that cursed Ethan. Here viewers were thinking that it was just the worst blessing from God, but, in reality, it was Kaetenay’s manipulation of Ethan to prevent the end of days. This interesting twist of events also explains how Kaetenay survived the serpent bite during their time in the Old West and why he continued to call Ethan his son. It seems that Ethan was a tool for many of the character’s plot lines to progress, more or less. Being used by the Apache led the lone wolf to run away to London and find a new beginning. His time in London led to his interactions with Vanessa and Sir Malcolm, which eventually led to him filling the void Sir Malcolm’s death left behind. Even in the end, during the apocalyptic battle between Dracula’s forces and “Penny Dreadful”‘s heroic cast, Ethan was the one to deliver the fatal blow to Vanessa. Thus, ending her internal struggle and bringing her back to her faith in God. It was an ending to her character’s turmoil that only made sense. Being chased by eternal evil had to have become tedious and tiring and Vanessa was done running. In a way, she already gave up by embracing the darkness within her, she was just waiting for Ethan’s arrival to send her away in peace. 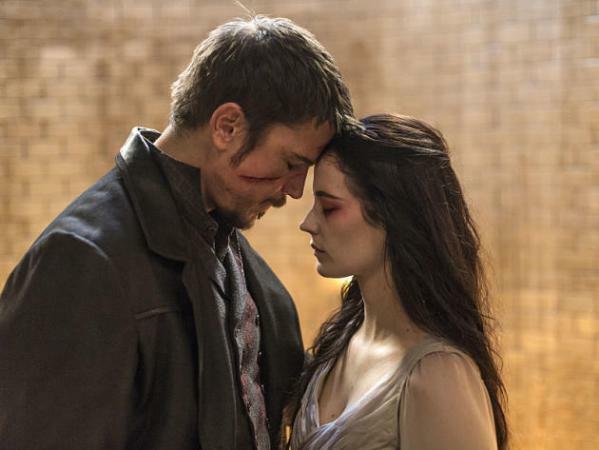 “Penny Dreadful: Perpetual Night the Blessed Dark” not only found its main character meeting her conclusion but finally ended many of the other character’s lingering storylines for better or worse. Bringing the focus back to Victor Frankenstein and his “Taming of the Shrew” storyline with the captive Lily, “Penny Dreadful” further explored the depths of their humanity to a bittersweet ending to their continued chase. At first, Lily tried to use a “bait and switch” tactic to get Victor to release her from the confines (by asking for a cup of water then trying to pull him in closer when their hands touched), but it proved unsuccessful. Before Victor planned to administer the personality-altering shot into her eye, she decided that honesty was her best tool in this fight. For several episodes, this season of “Penny Dreadful,” Lily has mentioned that her scars and pain are what define her more than just her newfound immortality in being undead. Though the audience was led to believe that her pain came from years of being mistreated as a street-walker, her pain was more deep-rooted than that. It turns out that Lily’s newfound rebellion was mainly motivated by the loss of her child. Lily continued to contest that one night she could not return home to her daughter because a man, who did not want to pay, struck her so hard that she could not move. By the time Lily awoke and returned home, the fire she left her daughter had turned to ash and the infant’s body had gone cold. This revelation not only struck at the last remaining humanity in Victor and propelled him to sympathetically release Lily, but also explains why she looks at Justine in such an adoring way. This rebellion was more than just a suffrage movement for Lily, but revenge for the night that she took to the streets just to make money to feed her daughter. Unfortunately, Lily’s confessional came too late. Upon returning to Dorian’s luxurious home, she found her streetwalker soldiers had fled and Justine’s cold corpse lying on the floor. “Penny Dreadful”‘s supernatural gigolo, Dorian Grey, had dispatched her forces and snapped Justine’s neck. He told Lily that her revolution was pointless and that, as an immortal, she should continue throughout life as he does, which is emotionless. Lily could not live life that way and left Dorian with his portraits, and departed with her emotional scars and all. Left to walk the world as an alone immortal, Lily shared something in common with her counterpart, John Clare. Though the creature had been reunited with his past life’s family, the reunion was short-lived. True to “Penny Dreadful” fashion, Clare’s ending was bittersweet. Taking in too much of the fog, the son ended up passing and the wife (filled with grief and irrational thought) pleaded that Clare takes the son to Frankenstein to revive him or never come back. 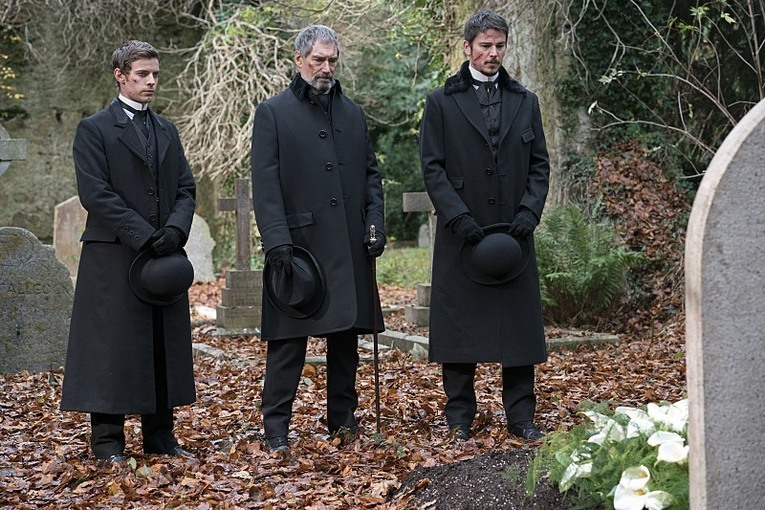 Obviously, he did not want to subject his son to the same hellish life that he had been struggling with throughout the “Penny Dreadful” series and moved on. Laying his son to rest in the ocean and witnessing the funeral of Vanessa (his one and only friend throughout the series), John Clare ended his story as it began – alone. “Penny Dreadful: The Perpetual Night: The Blessed Dark” was not the best ending to a series that viewers could have expected, but it accomplished enough. Bringing in an action element that the series has been lacking, this week’s finale still seemed to deliver impressive monologues and a story from each character. 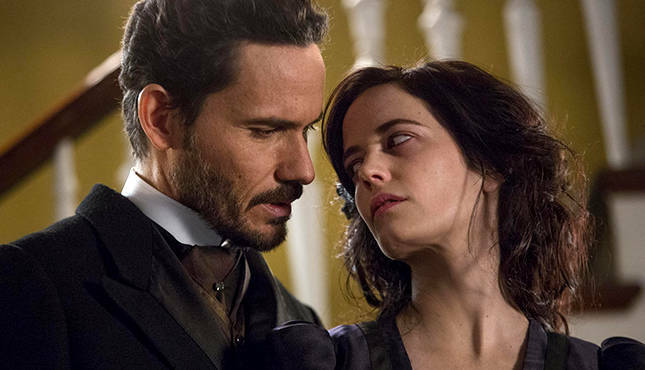 Though “Penny Dreadful” may not have been the stellar success that Showtime was hoping for (steady decline in ratings for the third season), its shining quality came in its casts’ ability to take a camp quality and bring it to life as vivid and captivating performances. “Penny Dreadful”‘s shine relies on its ability to take a look at humanity, social-political movements during the 19th century (mainly feminism and the suffrage movement), and faith, through the characters of the occult. Similar to what Anne Rice accomplished with “Interview with the Vampire,” John Logan managed to bring to the smaller screen. It is a shame that is had to end so abruptly, but with the many subplots left open in the finale, fanboys and girls will just have to petition or rely on fan fiction to get their fix. 4 Responses to "‘Penny Dreadful: Perpetual Night the Blessed Dark’ (Review/Recap) [Video]"
Wonderful goods from you, man. I have understand your stuff previous to and you are just extremely wonderful. I actually like what you’ve acquired here, really like what you are saying and the way in which you say it. You make it enjoyable and you still care for to keep it wise. I cant wait to read far more from you. This is really a terrific site. From here this is the best way to acquire online animal jam codes for free membership without spending a single penny.